We are proud to help nonprofit organizations in our community since they serve the people we care about the most. That’s one of the reasons we chose to contribute $5,000 to The Valerie Fund. 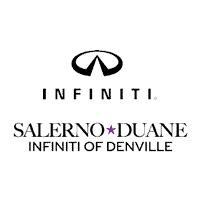 “It’s unfortunate that a charity like this one has reason to exist, but it’s one that we feel incredibly passionate about and want to do everything we can to help support and raise awareness of The Valerie Fund and all of the children it helps,” said Michael Salerno, co-owner of Salerno Duane INFINITI of Denville. We learned that our $5,000 donation will cover 3 weeks of counseling for children and families battling cancer and blood disorders at The Valerie Fund centers. It’s a fact that treatment costs are rarely covered by health insurance, so we wanted to help them get the treatment they need without the families going even deeper into their bank accounts. 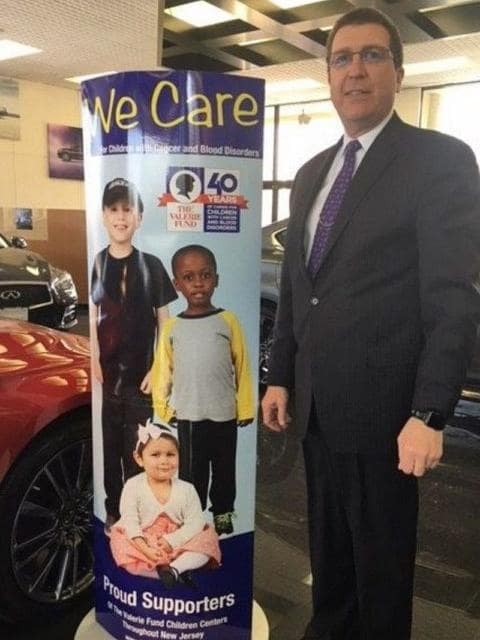 The We Care Program helps more than 6,000 kids who live throughout the state of New Jersey by supporting specific aspects of the aid The Valerie Fund provides. For starters, the centers give patients and their families a range of therapeutic services near their home no matter what insurance reimbursements they receive. In addition, the program helps send children who have or have had cancer to Camp Happy Times. This is fun for the kids because it provides a 1-week overnight camping experience in the Pocono Mountains. Lastly, the We Care Program also gives educational scholarships to the patients. This will help fund their continuing education dreams as they attend vocational schools, community colleges, major universities and graduate schools.